We’ve talked before about how massage can improve your mental health, but only in conjunction with other topics. In honor of Mental Health Awareness Month, let’s talk about mental health and massage. Depression and anxiety, clinically diagnosed or the amount most people deal with everyday, can make many situations debilitating: social gatherings, new jobs or job interviews, even checking your email or social media. Depending on the severity of your depression, anxiety, or other mental health situation, massage has the power to help you. Depression and anxiety are not the only forms of mental health, although they are probably the two biggest and the two to which everyone can relate. 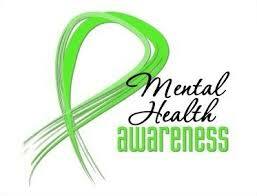 Mental health includes bipolar disorder and Post Traumatic Stress Disorder. There’s ADHD, addictions, eating disorders, panic disorders, phobias, OCD, schizophrenia and more. The most damaging result of a mental health issue is suicide. For more information on any of these and more, click here. While a massage might not return someone to their happiest state, while even if you get massage, you will still deal with your situation. You have to consistently work on things to keep going. Physical touch in general can be deeply beneficial for those struggling with their own personal demons. “A review of more than a dozen massage studies conducted by the Touch Research Institute at the University of Miami School of Medicine concludes that massage therapy relieves depression and anxiety by affecting the body’s biochemistry.” (Prevention) In that same article, that study showed that massage with over 500 people decreased cortisol levels by up to 53%! That’s amazing! Cortisol is your stress hormone, and if you suffer from anxiety, you know that cortisol sets off your anxiety. If you have depression, you know that more stress, aka high cortisol, can send you into a deeper depression. High cortisol levels equals more stress, which leads to more imbalances, exacerbating any illness, disease, or dis-ease we might already have. Stress shows you where your weaknesses are, whether it’s a previous injury, nerve damage, or a psychological imbalance. Even the most balanced person will suffer from depression, stress, anxiety, and many other imbalances. Massage and other types of bodywork, like acupuncture, aromatherapy, yoga, and reiki, have had a positive impact on many mental health issues. Ultimately, you have to figure out what works best for you. If you would like to know options of other types of alternative healthcare for your situation, please let us know. May is Mental Health Awareness Month. Even if you’re feeling depressed or anxious, even if you feel like you have nothing to offer another, you do! Send someone a text saying how much they mean to you. Call someone you haven’t talked to in a while and see how they’re doing. Smile at someone you’re walking by in the grocery store. Hold the door open for someone, even if they don’t have a disability or have their hands full. And if you’re doing all of that and want to do more, or if you feel like you need help with your own situation, visit www.mentalhealthamerica.net. You can also visit the Colorado specific website for more local help.You can find all sorts of resources and get involved and get help.